Ashley has been a guide at Raccoon Mountain Caverns since March 2016. She graduated from nearby Lookout Valley High School and currently attends Chattanooga State Community College studying Marine Sciences and aspires to work as a Marine Biologist. Ben has been a guide at Raccoon Mountain Caverns since March 2016. Ben is a Chattanooga native who attended Red Bank High School and is currently a student studying Engineering at Chattanooga State Community College. He plans to finish his degree at the University of Tennessee, Chattanooga. 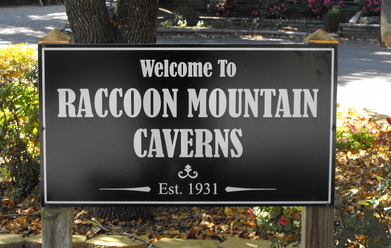 Darius has been a guide at Raccoon Mountain Caverns since April 2018. Darius is a native of Jackson, Tennessee who recently relocated to Chattanooga. He is one of our newer guides, still training on some of the longer cave routes. Darius aspires to be an EMT. Jasmin has been a guide at Raccoon Mountain Caverns since May 2017. Jasmin moved to Chattanooga from Jackson, TN to study Geology at the University of Tennessee, Chattanooga. Her interest in geology stems from a caving trip to Raccoon Mountain as a kid. Justin has been a guide at Raccoon Mountain Caverns since April 2017. He was previously a guide at Endless Caverns in New Market, VA for nearly 10 years and has been caving since he started there in 2007. He carries a Bachelor’s degree in Classical Guitar Performance from James Madison University and has been a private music instructor since 2005. Michael has been a guide at Raccoon Mountain Caverns since November 2016 and is the Assistant Operations Supervisor. He is originally from San Antonio, Texas and has lived in Maryland, Pennsylvania, Virginia, South Carolina, and England. Taylor has been a guide at Raccoon Mountain Caverns since May 2016. He is Operations Supervisor of the Caverns (and therefore rarely actually in the cave). Taylor was born and raised in Glen Mills, Pennsylvania and has a bachelor’s degree in Wildlife Conservation from the University of Delaware. Before moving to Chattanooga in 2016, he worked as a zookeeper specializing in native species at the Maryland Zoo in Baltimore.